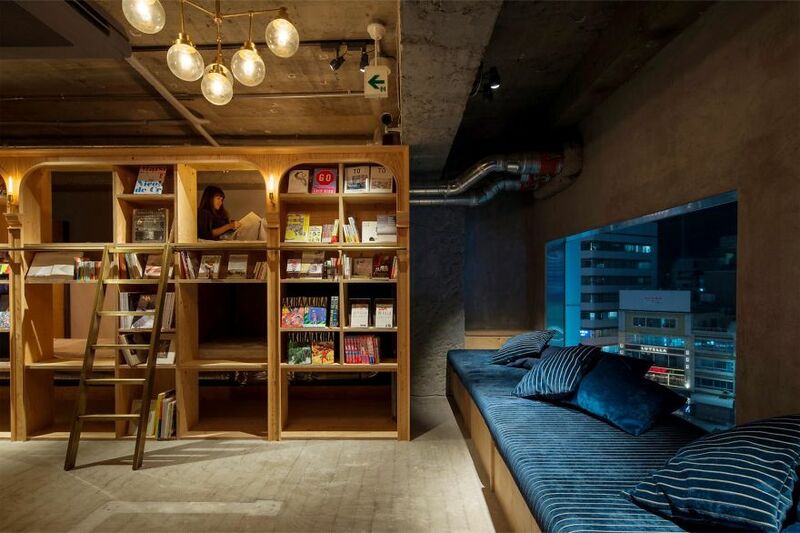 BOOK AND BED TOKYO, TOKYO, JAPAN A haven for bibliophiles, Book and Bed Tokyo looks like a used bookstore until guests slide open a bookshelf and reveal a cozy nook with a simple bed, reading light, and electrical outlet. Unabashedly bare-bones and not for the claustrophobic, 30 stacked cubbies, each big enough for one person, are available behind the shelves filled with 3,000 titles in Japanese and English. Bathrooms are shared, and couches in the area outside of the bookshelves provide a communal reading and gathering area. It’s more hostel than hotel, and at 3,500 yen (U.S. $35) guests will have plenty of cash left over for new books and exploring Tokyo. 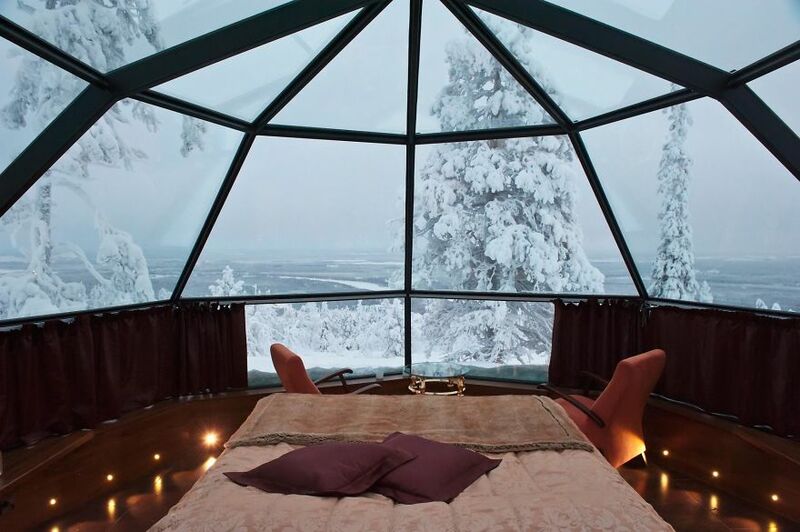 GOLDEN CROWN LEVIN IGLUT, LEVI, FINLAND Marvel at the northern lights in one of 18 glass igloos that accommodate couples or families. Located six miles from the resort town of Levi, each igloo has a kitchenette stocked with breakfast sets, a full bath, and a double bed with adjustable headrests for optimal aurora viewing. Windows are insulated and heated to keep them from frosting, and curtains provide privacy. Enjoy the fireplace in the small, rustic lodge, and brave freezing temperatures to take in the stars from the outdoor hot tub. A new restaurant and reception building is scheduled to open in December 2016. MANTA RESORT, PEMBA ISLAND, ZANZIBAR The Manta Resort would be a unique stay anyway, with its beach villas on a remote island surrounded by pristine waters. 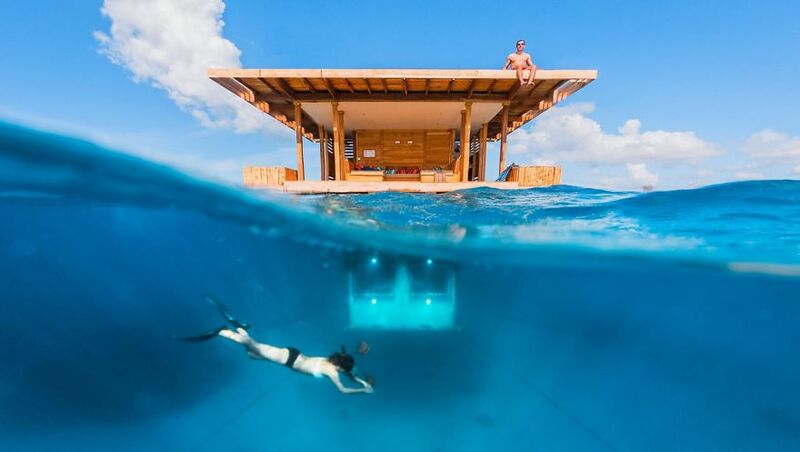 But book the Underwater Room and sleep below the surface as colorful reef fish glide past large windows surrounding your double bed. At night, spotlights under the windows can be turned on to attract fish and octopuses. The sea-level floor above has a simple living area and bathroom, and the rooftop patio is perfect for sunbathing or taking in the Milky Way at night. When not enjoying your room, get a spa treatment, go scuba diving, or explore the interior of this island teeming with wildlife and culture. 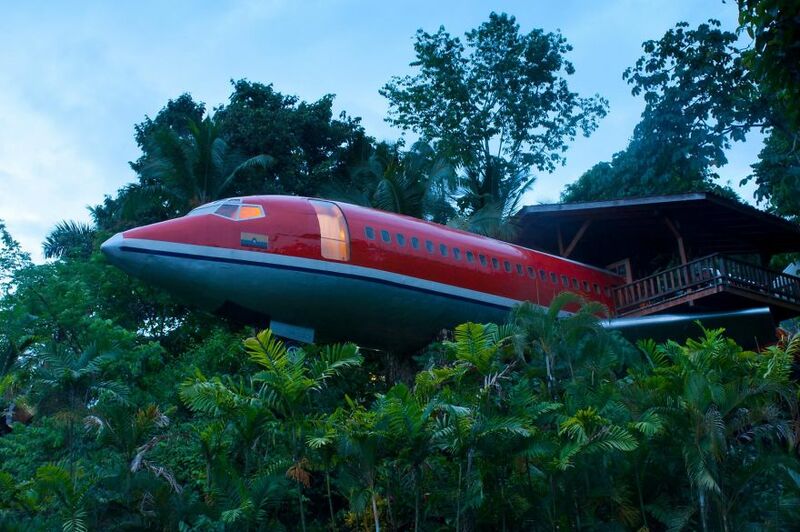 HOTEL COSTA VERDE, PROVINCIA DE PUNTARENAS, COSTA RICA Costa Rica’s Hotel Costa Verde’s slogan is “Still More Monkeys Than People …,” but its other claim to fame is that guests can spend the night in an upcycled 1965 Boeing 727 that’s been turned into a two-bedroom luxury guesthouse. While the distinctive fuselage shape is intact, the interior is completely paneled with local teak. Windows offer jungle and ocean views throughout the plane, which rests on 50-foot-tall supports, and covered patios extend over the wings. The bedrooms have air-conditioning, and each has its own bathroom. Have dinner in the kitchenette, or enjoy local fare and drinks at El Avión, Hotel Costa Verde’s restaurant and pub housed in a C-123 Fairchild cargo plane that played a part in the Iran-Contra Affair of the 1980s. PALACIO DE SAL, SALAR DE UYUNI, BOLIVIA You’ve perhaps heard of ice hotels, but Bolivia’s Palacio de Sal has taken the concept one step further by using salt from the famous Salar de Uyuni salt flats to create a luxury hotel in the middle of the Bolivian desert. 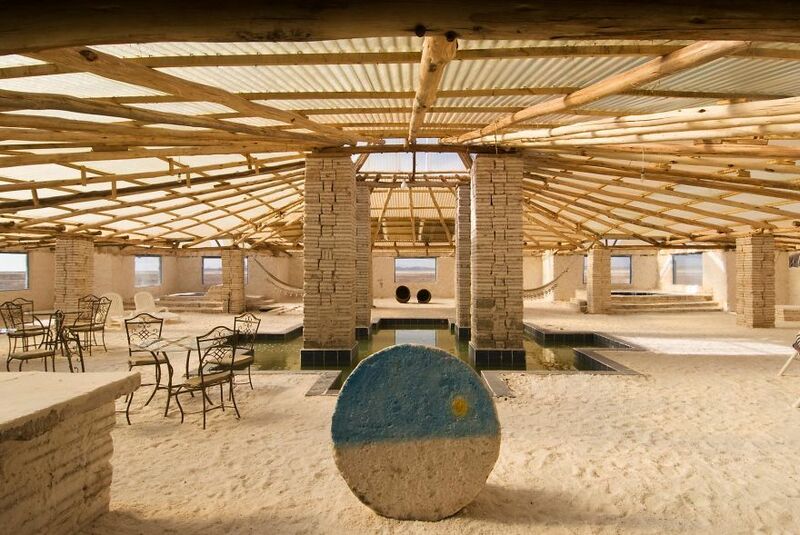 Nearly everything in the 48,500-square-foot hotel is made out of salt, including the building and furniture. Each of the 30 simple but stylish rooms with wooden flooring has a private tiled bath and is climate controlled. Bed platforms and armchairs in the common area are salt, but plush blankets and pillows make for a comfortable stay. The dining room’s windows frame a panoramic view of the salt flats, and meals include locally sourced llama and lamb and the house specialty, salt chicken. Beyond the uniqueness of this remote hotel, the draw for the area is the Zen-like expanse of the largest salt flats in the world and its star-filled sky at night.